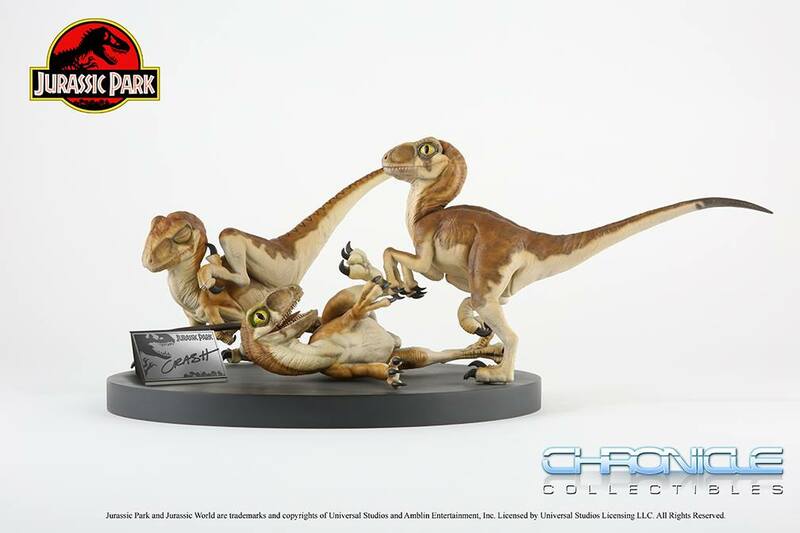 Late last year, Chronicle Collectibles announced that they would be releasing 1/1 scale replica statue of the three Baby Raptors as seen in Jurassic Park. 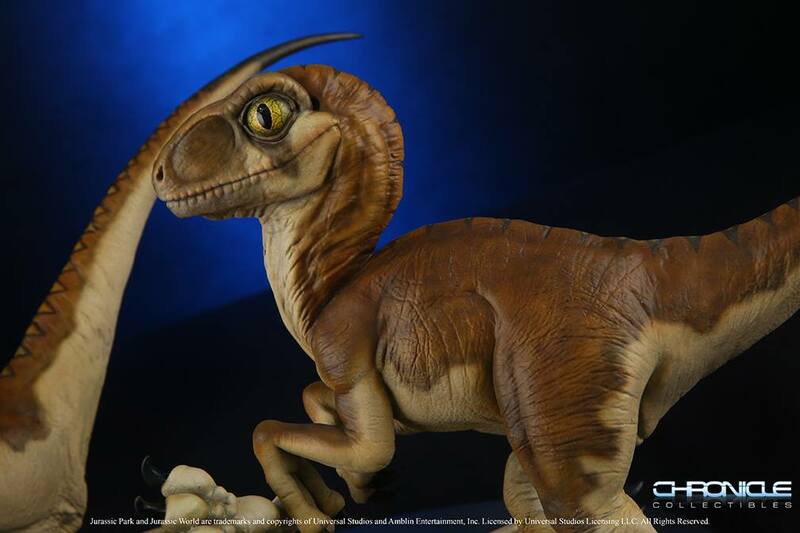 The concept was created by artist Mark ‘Crash’ McCreery of Stan Winston Studio. Official photos and details have been released for this new statue. Fans looking to pre-order this set can do so this Friday, and save $100 if they order within the first 30 days! 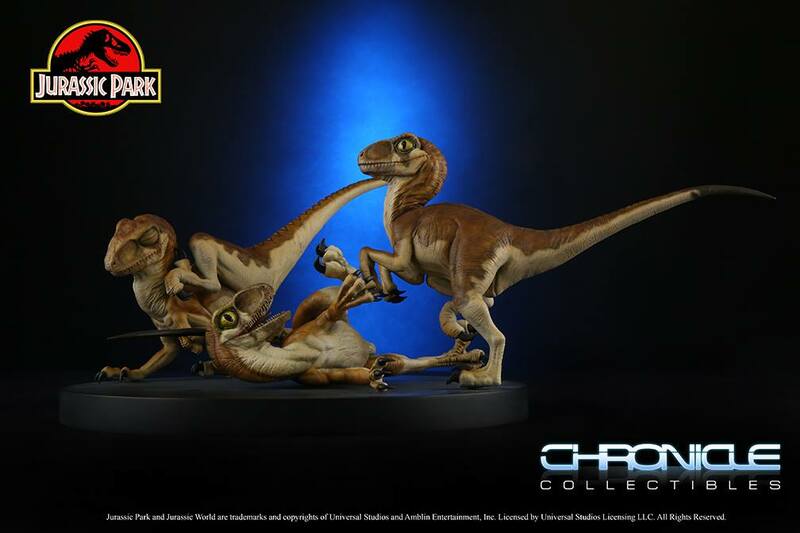 Check out the details from Chronicle Collectibles below. After the jump, you can see all of the new photos. 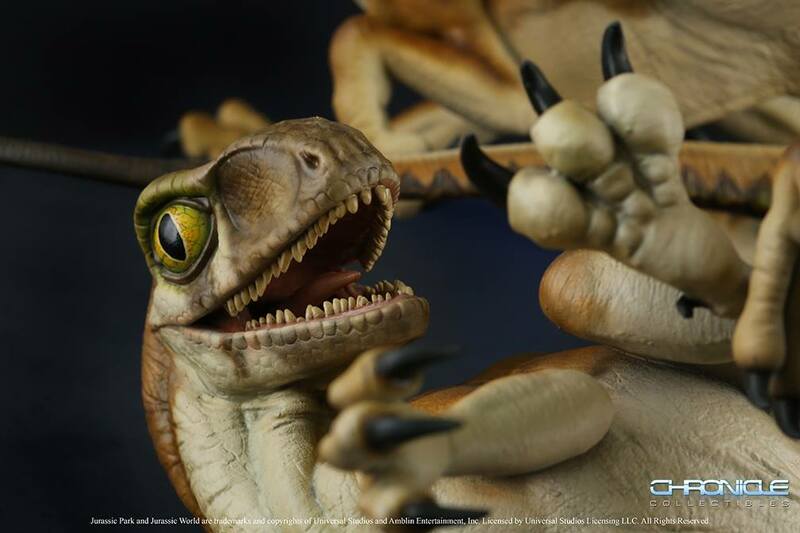 Artwork by Mark ‘Crash’ McCreery created for Stan Winston Studio. Chronicle Collectibles is proud to partner with Crash McCreery. 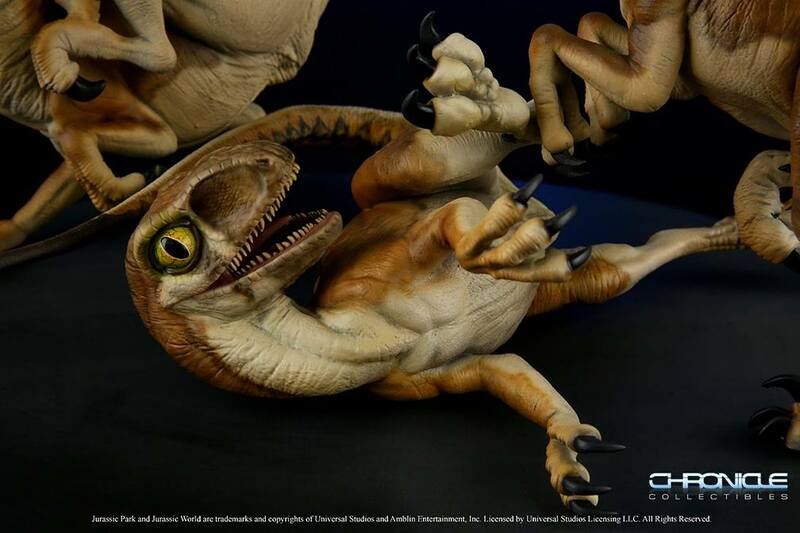 Our first offering will be the playing Baby Raptors, taking the artwork of Crash from 2d to 3D. The challenge was to match the original artwork as closely as possible while still retaining the look of the babies in Jurassic Park. 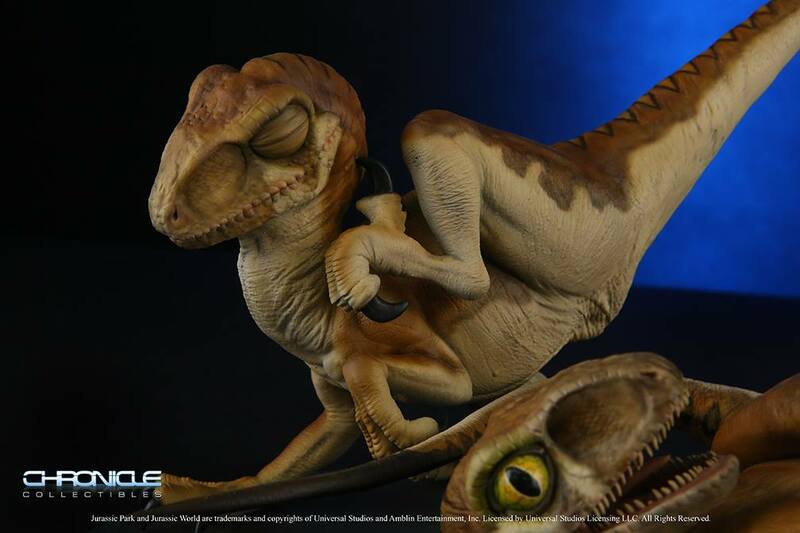 Crash was instrumental in helping with the design elements of the Baby Raptors by providing artwork and edits. Each Baby Raptor is roughly 12″ in length. 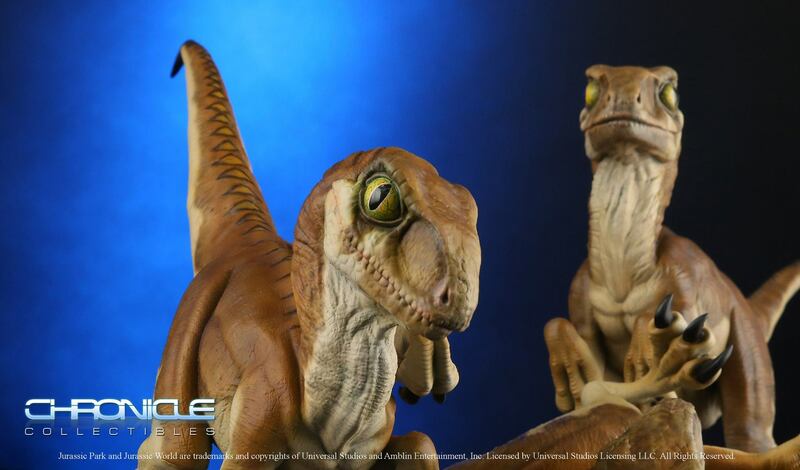 Price includes three Baby Raptors, base and signed plaque. Pre-Order pricing if ordered direct in the first 30 days $550. 10 Month payment plans apply to all purchase options. Pre-Order opens Friday 23rd at 12 pm CST. Kinda cute. I Still wish in Jurassic World they feathered the raptors. Being re-engineered & a series reboot, audiences would accept it. Coming out of the theater, all I heard was people commenting raptors were feathered. I still have my art of Crash cards from Jurassic Park. Also, no one but paleontologists cared if they had feathers in the movie 99% of people have no clue. It also makes a much more intense movie for the people to be chased by 5' tall lizards than 5' tall chickens. Even though a much more accurate comparison wold be predatory birds such as hawks and falcons? Does it fly? If not, then it's a chicken. 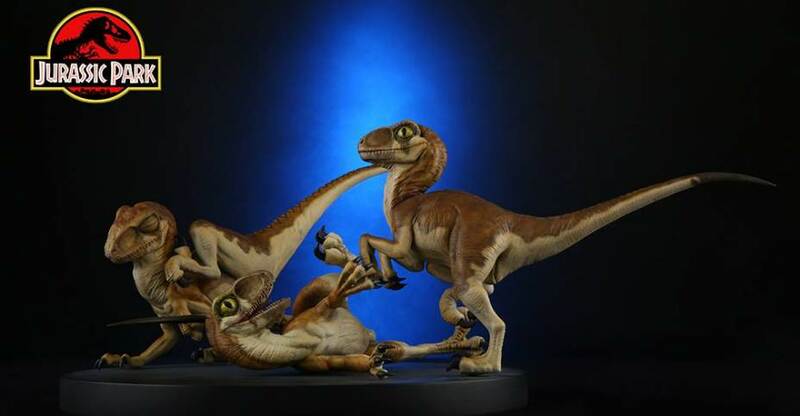 It has been suggested that at least juveniles of Deinonychus (which is what the Jurassic Park Velociraptors are mostly based on) were capable of self-sustained flight, yes.